Oh, how I love topwater fishing! It is the most exciting and visually appealing type of fishing, in my opinion. Seeing a fish hammer your bait on the surface is one of the most gratifying fishing experiences. I’ve put together a few tips to help you land bass using top water baits. Most topwater baits come out of the box with a tail trailer nowadays. If you pick one up that doesn’t, ADD ONE IMMEDIATELY! I have personally experienced the difference in using a topwater bait without a feather or plastic skirted trailer and how it’s use is extremely effective. The idea behind the tail/skirt/feathers is that while your lure is sitting on the surface with little to no movement, the trailer is still going to move due to waves, wind and water current. 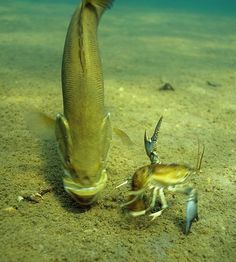 It makes the fish think that the bait is alive. 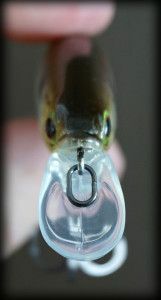 The two most used topwater lures are Spook type top walking baits, and popper style baits (frogs, poppers, chug bugs). Deciding which bait to go with can make for a difficult decision. 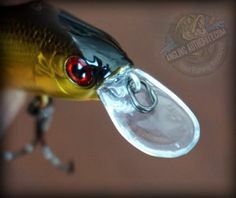 Popper style baits have progressed in recent years and now there are popper style baits that also walk like a Spook, but still pop and splash. The best option here is to test both and go from there. If they would rather have a bit coming by in a straight line, splashing around, or zig zagging on the surface, they will let you know. Putting a cadence or movement pattern with your topwater bait and staying consistent can be the key to landing fish. What we’ve all heard since we were young is “twitch-twitch-pause.” You should also consider the speed at which the lure moves or how long you leave it sitting still during the pause. Sometimes that pause can get a fish on the brink of going after it; then when you twitch it again the strike instinct kicks in and hopefully you get a solid hookup. 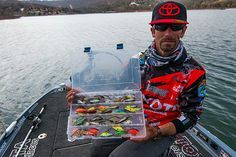 Patterns and cadence can be a huge tool when using topwater baits. When we see a splash on the surface, we instinctively want to throw our bait at it because we know the fish is there. This is actually a great idea as long as you do it in a timely manner. The key is getting your bait in the middle of that splash quickly in order to make the fish think its part of the same group of bait fish they were just after. Then just retrieve the bait in whatever fashion is working and wait for them to smash it. Many people are afraid to throw larger baits as they have never had the opportunity to try and catch big bass. The truth is, big fish like bigger prey. Big spooks, chug bugs, and pencils are all available in large sizes. 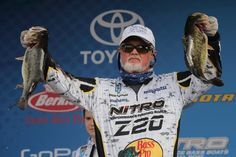 In fact, during a Q&A with Pro Angler Larry Nixon, he let TheFishingRadar.com know that his favorite fall bait is a Chug Bug; and you know he’s looking for the big bass. Topwater fishing is exciting for everyone involved. But, if it takes some time for you to get a bite, you may be so anxious, that you yank the bait right out of their mouth instead of waiting just a bit longer to set the hook. Once you get a strike, take a quick breath/pause, and then set that hook. Hopefully all of, or at least some of, these tips will help you out with year round topwater fishing. Keep these tips in mind, and land some fish. And when you do, LET US KNOW! 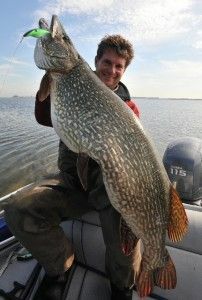 Contact AnglingAuthority.com or me on Facebook!